Trying to make a 50 minute connection between 2D & 2E. Somehow I managed it but to achieve this I had to run with bags all the way through 2D along an endless passageway between 2D and 2F across the road to 2E all the way to the far end of 2E through security into the bowels of 2E and finally to the gate. The to cap it all we were bussed to the plane which took the best part of 15 minutes. Don't change here unless you have at least 2 hours 3 if your inbound might be delayed. I've been travelling through CDG at least once a year during the last 8 years and am still at a loss trying to figure out how to efficiently navigate this airport. It has to be one of the most chaotic airports in the world. Don't think that this is just another French idiosyncrasy. My French acquaintances are the most vociferous when it comes to CDG. My advice avoid it if you can it's a mess. CDG is a very poor introduction to France (I am French!) and is really a shame. Terminal 1 is a consequence of the French politicians' love for "contemporary" - obsolete architecture and completely atrocious for passengers. 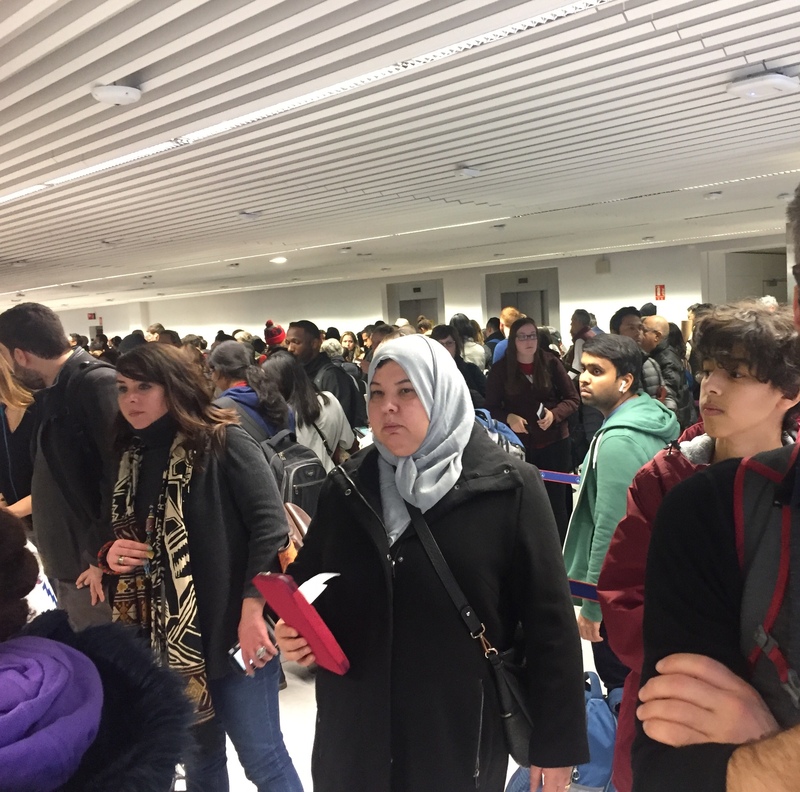 Terminal 2 ABCD are too small badly designed no air- con and in all Paris airports the common point is the huge queue at passport control where you are lucky if 2 cops are there to control 3 or 4 long-haul flights ! which is a disgrace compared even to some Middle-East countries. Other common points are dirtiness and lack of toilets lack of moving sidewalks. This time flew from 2F which is slightly better more modern more space more available seats. Nevertheless was shocked to discover there is no lift to take you to departure level so manage with your suitcase in escalators - and no air- conditioning in the waiting rooms which is an issue because although in this one the ceilings are very high the architect has put windows everywhere.. A last word of advice for foreign travellers if your ticket read 2G be aware that this is a (bad) joke this is a totally different terminal and you need a 15 mn bus shuttle to go there after having left your rental car at 2 E/F. Any connection going through this terminal needs a bare minimum of 3 hours even worse than all the other reviewers said. I was transferring on a ONT-SLC-CDG-MAN journey. On arrival we were parked at a remote stand and then bussed into the terminal following a 20-minute wait on the incoming plane. We also had to queue in the pouring rain to get on the bus. There then followed long queues to go through the x-ray caused by a combination of the fact that the security personnel spoke only French and the procedure being different from that at other hub airports. Specifically we were made to remove all electronic devices from our carry-ons and put them through in separate trays: not just laptops but cameras noise cancelling headphones shavers etc. etc. Most passengers did not understand the instructions in French hence the growing queue. Some of the PA announcements were made in French only including a paging call for someone with an English sounding name and a change of gate for a flight to Detroit. 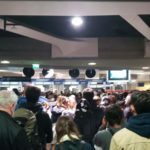 If CDG is going to take the money in airport fees from passengers in transit between English speaking countries this should not be happening. On the flight to Manchester I was denied boarding through the priority lane despite being a Flying Blue silver (and thus entitled to use it) and was made to join the back of the general queue. Another bus ride and wait in the rain then followed. Terminal 1 as I was travelling with hand luggage only I was out of the airport within 10 minutes. I came out of gate 34 where AF coaches go to Paris. On my way back I came to CDG with the RER and transfered with the CDGVal shuttle and found the sign posting very efficient. Toilets were even clean on hall 5. Food counters plentiful at airport prices. T1 has a typical seventies architecture - better than T2. I passed through CDG twice this summer transferring from BOS to HEL and again on the return. 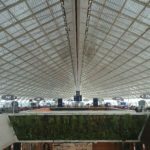 Each instance at CDG was an unhappy ordeal that left me spent and breathless. Sparing the details the words asanine and ludicrous best describe the layout and navigability of this facility. There was little in the way of courtesy at check-in desks and security with some instances of outright rudeness. I did however encounter one kind woman an employee who was helpful along the way. Personally I will avoid transfers at CDG in the future. If you must transfer at CDG I suggest allowing yourself a minimum of two hours between flights preferably longer. CDG was the only blight on an otherwise pleasant travel experience with Air France and Finnair. After a promotional flight on A380 from LHR I discovered that CDG was just like most of the previous postings indicated. I only had carry-on baggage so did not have to experience reclaim but the rest of the experience was forgettable. A gloomy airport in the main (Terminal 2E not too bad) with incredible distances to cover to get anywhere "central". The only advantage I saw over LHR was the lack of holding patterns for landing - the advantage of 4 runways over two I guess. Orly or Eurostar next time! Used CDG to transit from HKG to BRS. While the incoming flight from Hong Kong used the aerobridge the flight to Bristol required a ten minute bus drive on the tarmac to reach the plane. This after having to first get my bearings locate a map of where I was obtain my connecting gate number locate the new gate again on the map figure out how to reach there then take an internal train within 2E to change gates. As several users of CDG have pointed out earlier signage is confusing and a simple matter of arriving at one gate and getting to the next even within the same terminal is a trip itself. Also until 1030am the only food available inside 2E restricted area are sandwiches and pastries. 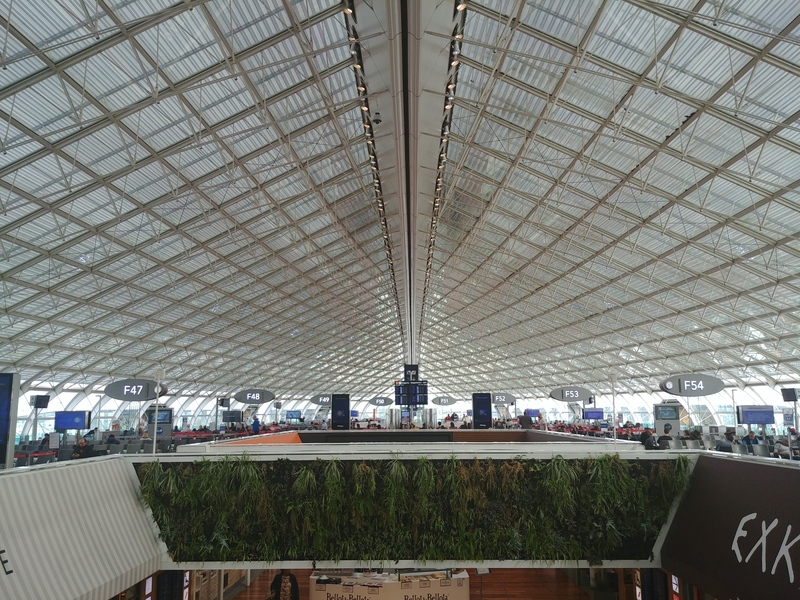 Tip for those using CDG for transit - don't unless you have at least 3 hours anything less and either you or your baggage or both will not be on the connecting flight. 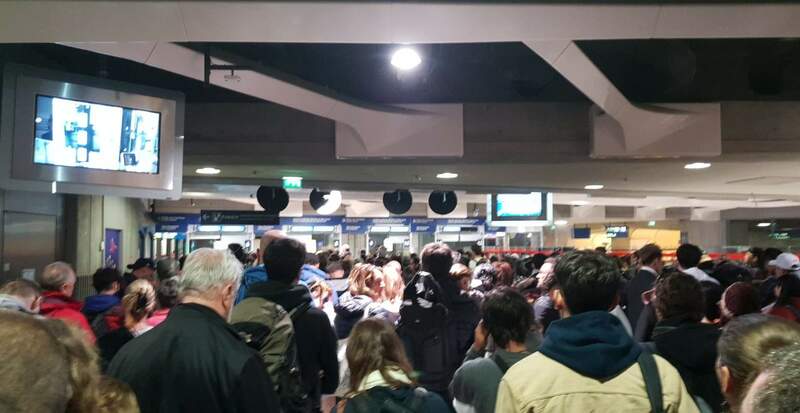 Always problems at CDG! You leave the plane there's no flight information screen in the first place little staff and its always cold! They make you walk very long distances (which you have to run otherwise you miss your connection!!) just to get on a bus - which is not coming frequently enough. In the gate you run again long distances. Staff rather chat than being effective at security control. Signage is confusing getting around no fun - missing connections seems to be common. The poor reviews of CDG are the correct ones. I flew there on 7 August only because I was taking advantage of the promotional fare on Air France's A380. I was apprehensive and right to be so. Although more light reaches the upper level the terminal lower level is gloomy. The walking distances are unbelievable; we took a shuttle train within 2E and still had considerable walks in the same terminal and subsequently from baggage claim to RER station. Baggage arrived at a carousel other than that advertised on the plane's information screen. I did not see any master screen to direct one to the correct carousel. Ticket machines on the cluttered station concourse were difficult to spot but do take 'foreign' credit cards which they used not to (a long time ago). I get the impression that to use CDG you need to be French and certainly able bodied.